ProCollagen+ Powder is a high strength (10,000mg) marine collagen powder ideal for adding into juices and smoothies to enhance your daily health regime. 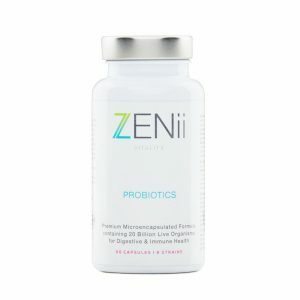 It contains Type 1 & Type 3 Marine collagen which helps boost skin, hair, nail, joint & bone health. Ideal for: Beauty, Anti-ageing, Hair & Nail health, Joint & Bone health. Collagen is the most abundant protein in our body. 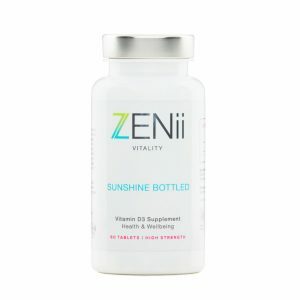 It helps to support healthy hair, skin, nails, joint & bones. 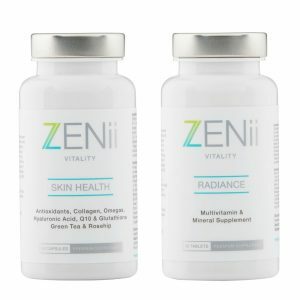 As we age our collagen production declines at about a rate of 1% per year. This results in ageing & sagging of the skin, hair & nail thinning, joint & bone dysfunction. Supplementing with a premium hydrolysed marine collagen can help boost collagen levels and can help prevent ageing of the tissues, joints & bones. 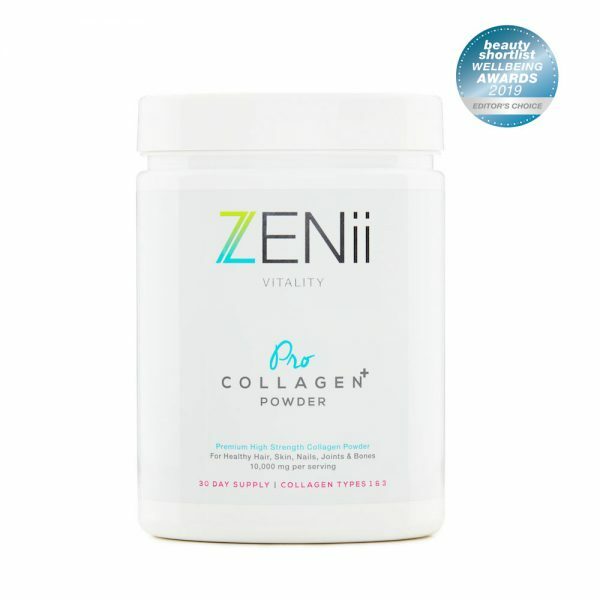 ZENii ProCollagen+ Powder is a highly purified collagen supplement made from hydrolysed collagen peptides. Hydrolysis is a process where the collagen is broken down into small, bioavailable chain peptides for improved absorption and utilisation by the body. Hydrolysis is key to this advanced formulation. This odourless formula is ideal for adding into smoothies & juices to give you a daily collagen boost. Help fight collagen deterioration and free radical attack with this premium collagen powder. Container is BPA free. Made under GMP manufacturing standards. 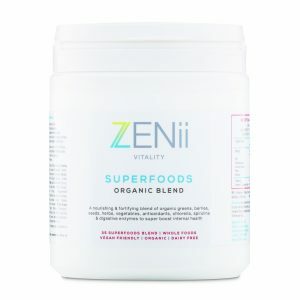 Read here how collagen supplements are essential. Add 2 scoops (10g) of powder per day into juices or smoothies or sprinkle onto foods. Consult your Doctor before starting any dietary supplements to check for contraindications. If you are pregnant or breastfeeding or have any medical problems please consult your Doctor or Healthcare Practitioner. Hydrolyzed collagen type 1 & 3 contains the amino acids: L-glycine, L-proline, L-alanine, L-hydroxyproline, L-glutamic acid, L-arginine, L-aspartic acid, L-serine, L-lysine, L-leucine, L-valine, L-threonine, L-phenylalanine, Lisoleucine, L-hydroxylysine, L-methionine, L-histidine, L-tyrosine, L-cysteine.